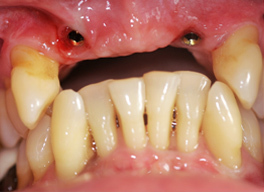 A missing tooth can be replaced by the dental implant without altering the healthy adjacent teeth. 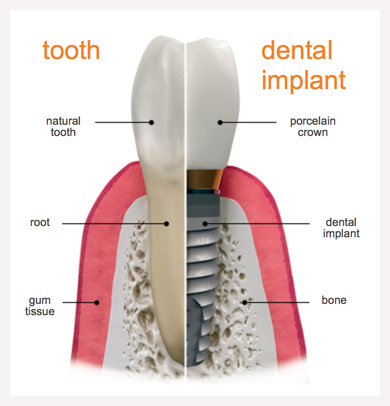 Once the implant is placed, a post (or abutment) is attached providing support for your final crown. Dental Implant bond with healthy bone and provide permanent support for dental crowns and dentures. They can life a lifetime. Dr Soneji will discuss whether implants would be right for you. 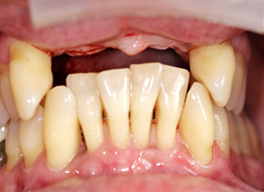 Patients need to have healthy gums, and enough jawbone to take the implant that supports the replacement teeth although techniques are available to add additional bone if needed. Patients must also be prepared to maintain very good oral hygiene and visit the dentist regularly. 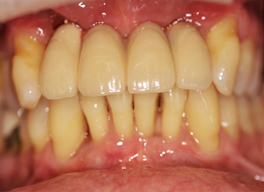 Implants, like teeth, may be lost if mouth hygiene is poor. Implant patients also need to be in good general health. Some chronic diseases, such as diabetes, osteoporosis or chronic sinus problems, could interfere with healing and make implants more likely to fail. Make sure that you tell your dentist about any medicines that you take regularly, and about your smoking habits. Smoking may well shorten the life of your implant. Implants involve surgery over a period of several months therefore allow flexibility with payment. Dr Soneji will carry out a careful and thorough clinical and radiographic examination. He will explain the stages of treatment and the timetable for completing treatment. At the end of the appointment, he provide a written treatment plan with the fees incurred, offering a individually-based dental finance plan if required. 0% FINANCE AVAILABLE! Please enquire for further details.